From casual to couture, we have it all with over 10,000 items for sale and inventory replenished every day. 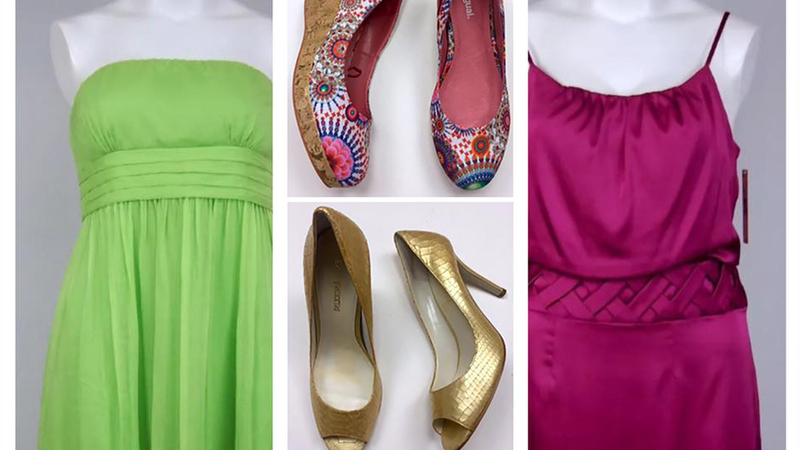 We carry plus-size clothing size 14 & up, shoes size 8 & up, and all accessories. Shop frequently and each time you'll find new treasures. Can't make it to our store? We feature hundreds of designer and vintage plus size clothing, handbags, shoes and accessories in our eBay and Etsy online shops. New items are added daily. 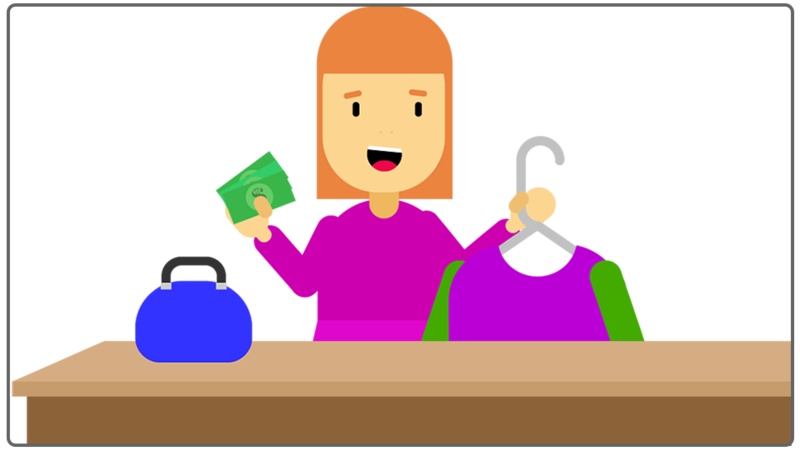 Turn your clothing to cash or in-store credit! 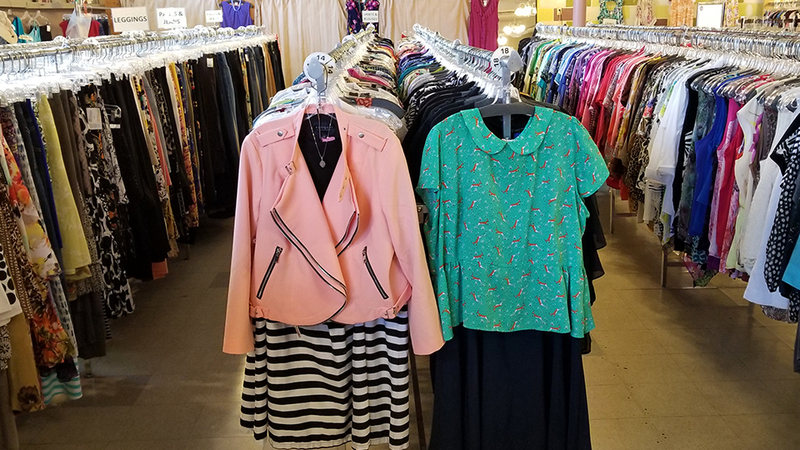 Whether you're looking for a new look, changing sizes, or just cleaning out your closet, consignment is a great way to refresh your wardrobe while earning money in an eco-conscious way. "Two Big Blondes is a plus babe’s paradise and I am grateful they exist." - Mary Lambert, sharing her top Seattle hangouts with BlackBook after shopping at Two Big Blondes for her 2017 Bold EP tour. SPINNING WHEEL OF DEALS! Throughout the month of April, take a spin for a spin for a discount on every purchase! Make sure to sign up for our monthly newsletter to receive the EXTRA SPIN coupon too - you choose the best spin to use. Win 10% - 25% your entire purchase & other fun discounts. SHOP LINDY WEST'S CLOSET! Come to our Seattle store or follow our Instagram to shop items straight from Lindy West's closet! 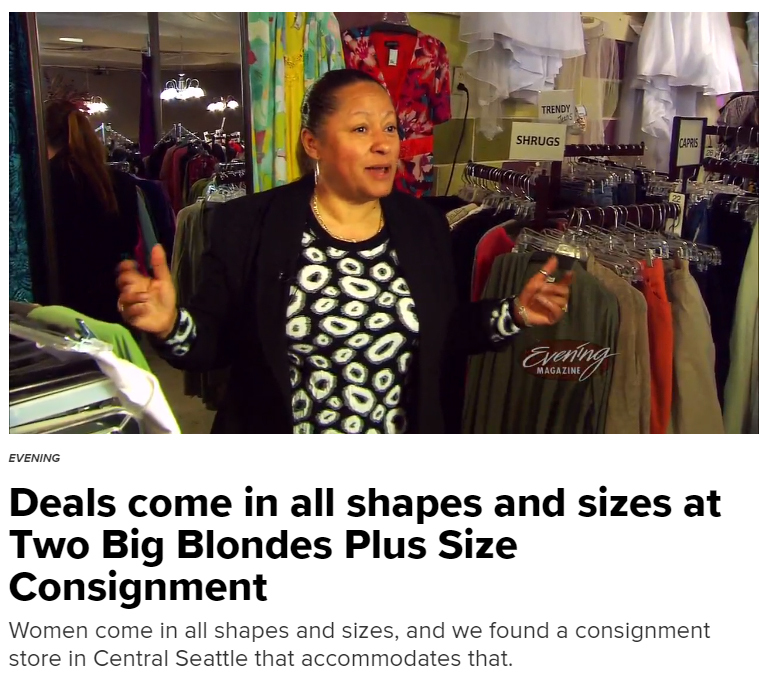 Two Big Blondes was featured in The Curvy Fashionista's "9 Plus Size Vintage & Thrift Stores to Bookmark and Shop Offline" highlighting plus size boutiques around the country. Want to see more? 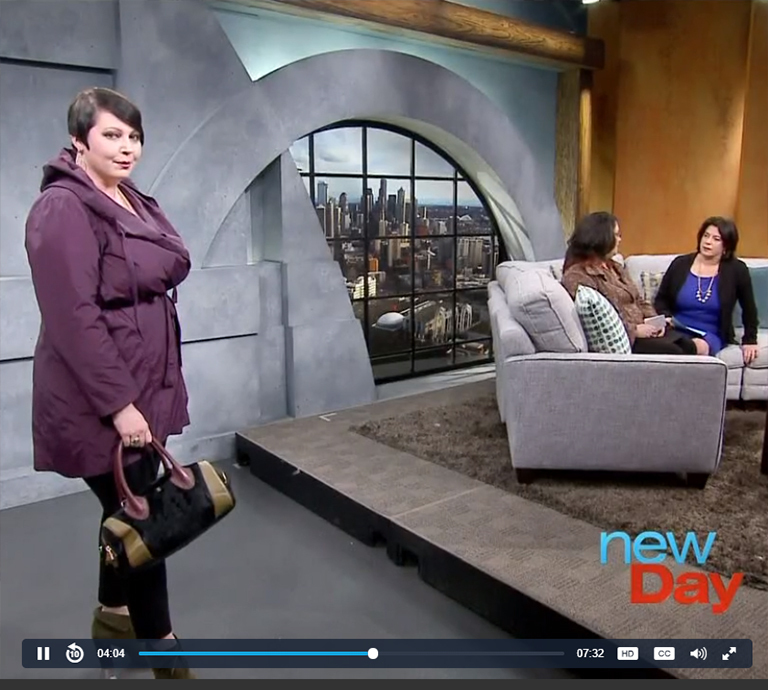 See what it's like in-store from our King 5's Evening Magazine Thrifting Thursday feature or watch a mini fashion show from our visit to King 5's New Day Northwest afternoon talk show.